Blair, gorgeous images, I am so ready for spring. come see my latest art and follow me. I will have a fabulous giveaway soon! oh what lovely images... inspiring indeed... Love whites!! There is something so appealing about using all cream colored palette. Stunning! Spring is my favorite season...especially because of all the fun flowers! In middle-school, we used to have a daffodil drive to raise money and it was always a great way to welcome in the warm weather. I want to live there...or make over my apartment to look as blissful! 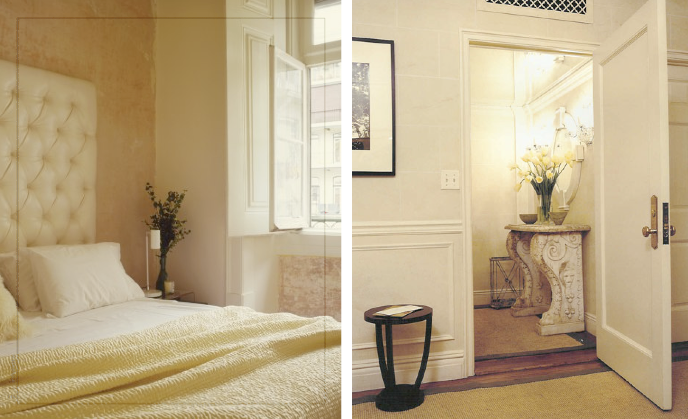 I love these gorgeous neutral rooms!! love love!! Great shots! I love interiors! Living in AZ we get lots of sunlight! Its amazing out right now! Would love to have you follow my blog! i'm definitely looking forward to longer days with more beautiful light like this. spring forward is almost here! have a lovely weekend. i don't get to comment as much as i'd like these days, but your blog is gorgeous as ever. i hope you're doing well. Such gorgeous, warm spaces, darling!